As we can see at the H4 chart, after the start of the QE program, Eurodollar continued falling. 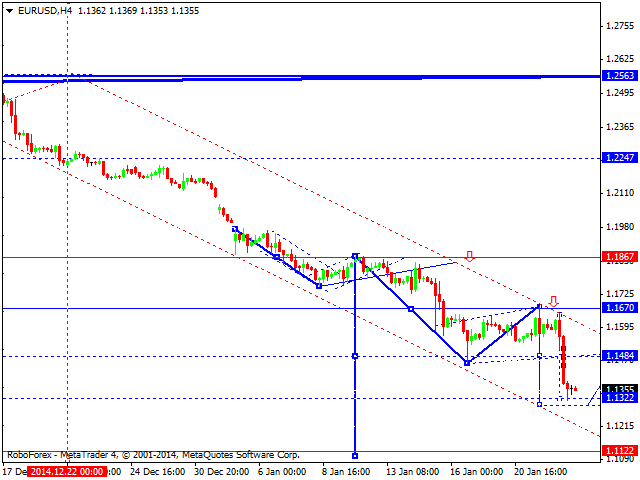 We think, today the price may reach level of 1.1300 and then form another consolidation channel. Later, in our opinion, the market may continue moving downwards. The next target is at level of 1.1100. As we can see at the H4 chart, Pound has reached new lows. 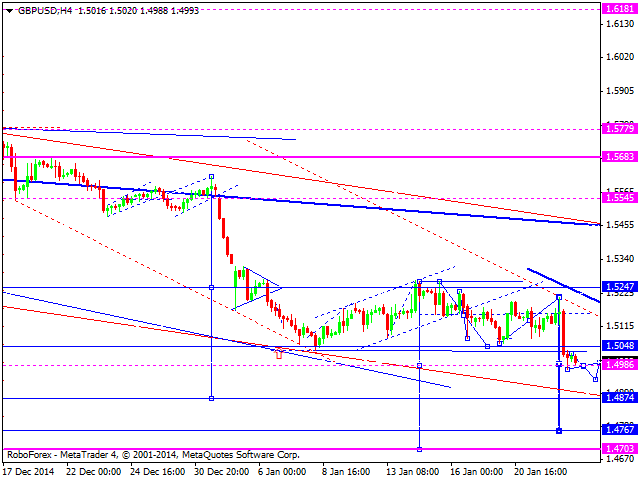 We think, today the price may form a narrow consolidation channel and then continuer falling to reach level of 1.4875. After that, the pair may continue falling towards the next target at level of 1.4770. As we can see at the H1 chart, Franc is still consolidating despite the decisions from the European Central Bank; the pair is moving upwards inside a consolidation channel to reach level of 0.8900. Later, in our opinion, the market may continue moving inside the downtrend. The next target is at level of 0.8200. As we can see at the H4 chart, Yen is attempting to form an ascending structure with the target at level of 119.30, thus following the growth on stock markets. However, considering the descending movement inside the third wave of the downtrend, this pair may fall fast to reach level of 115.00. 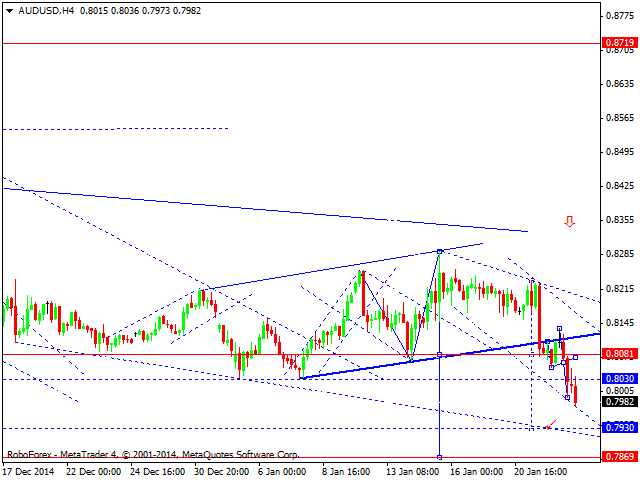 As we can see at the H4 chart, Australian Dollar is still falling inside the downtrend. 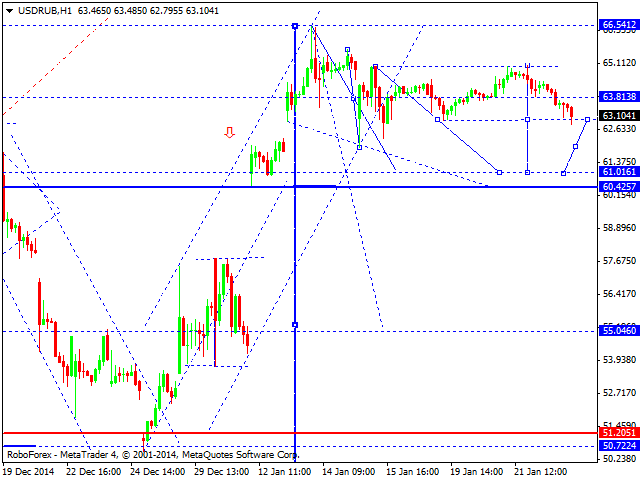 The target is at level of 0.7930. 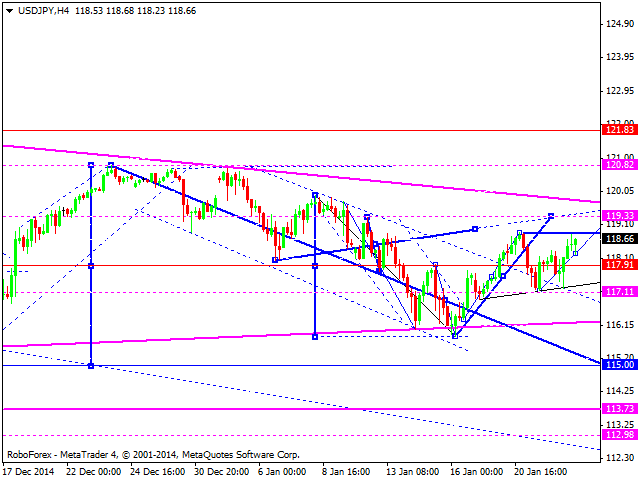 Later, in our opinion, the market may consolidate for a while and then continue moving inside the downtrend. 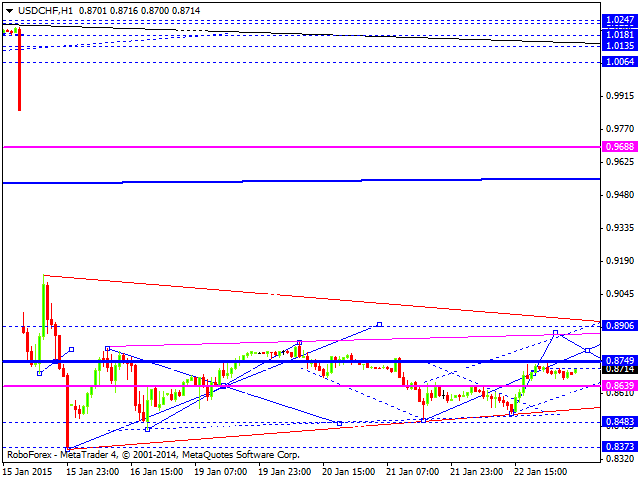 The target is at level of 0.7870. As we can see at the H1 chart, Ruble continues moving downwards. We think, today the price may expand its consolidation range downwards to reach level of 61.00. Later, in our opinion, the market may return to level of 63.00 and then continue falling towards level of 55.00. As we can see at the H4 chart, Gold has reached a new high and now is back to its consolidation channel, which starts looking like diamond reversal pattern. 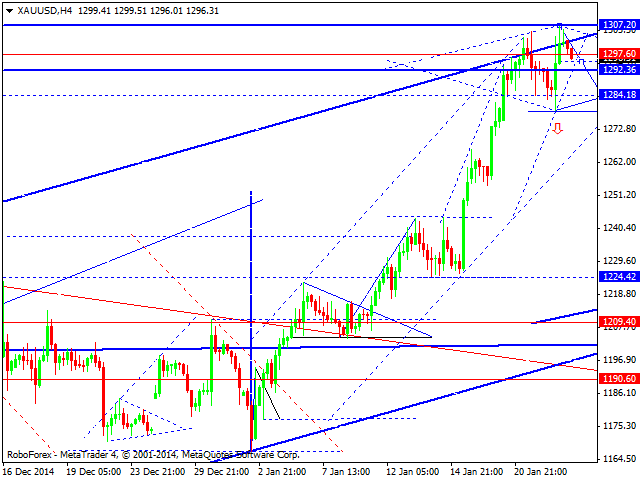 Later, in our opinion, the market may form a descending wave towards its first target at level of 1209.